$100, $120, $140 New tiered pricing! See "Why three prices" below to find out more. Bring your Confirmation Class to Holme! Explore faith and enjoy fellowship with youth from other churches. Retreats will be held in Nunemaker, our youth retreat building with cabin-style rooms of bunk beds and shared bathrooms, with common areas for our sessions and fellowship. The retreat is designed for confirmation classes, their leaders, and adult mentors from their church. Together we will ask and affirm the big questions about how our own spiritual development is relevant as we navigate and explore our own journeys and the way they intersect with family, community, service, church, and our choices. What does spiritual development even mean? What exactly are we confirming, anyway? Does having faith mean never doubting? What does it mean to be part of a faith community? What role and authority does the Bible play in all of this? Can I be a Christian and disagree with other Christians about these things? We’ll approach these questions from different angles and through various methods including theater, writing, discussion, and games. Weather permitting, we will get outside for fun, and to refresh ourselves in the creation of which we are a part. 9:15 The power of metaphor and a whirlwind tour of the Old Testament. 1:30 Gethsemane (Plastic Jesus, Human Jesus) What is your purpose? 2:30 Who do you say that I am? 3:15 Room for Jesus? Room for Christ? 4:15 What questions do you need to live? Registration for these retreats must go through your church! Find out more details online at www.holmescamp.org/programs. Space is limited. If your church is registering online, please contact your Confirmation leader for your group’s Group Hold ID number. You must use your church’s Group Hold ID when registering for Confirmation Retreats! If you have created an account to register for previous retreats OR Summer Camp, please use the same log in – if you have forgotten it, please contact us and we can retrieve it. Each church is expected to bring at least 1 adult for every 7 youth with thought to gender. Adult leaders will be expected to help facilitate small group discussions and activities, using topics and supplies provided. 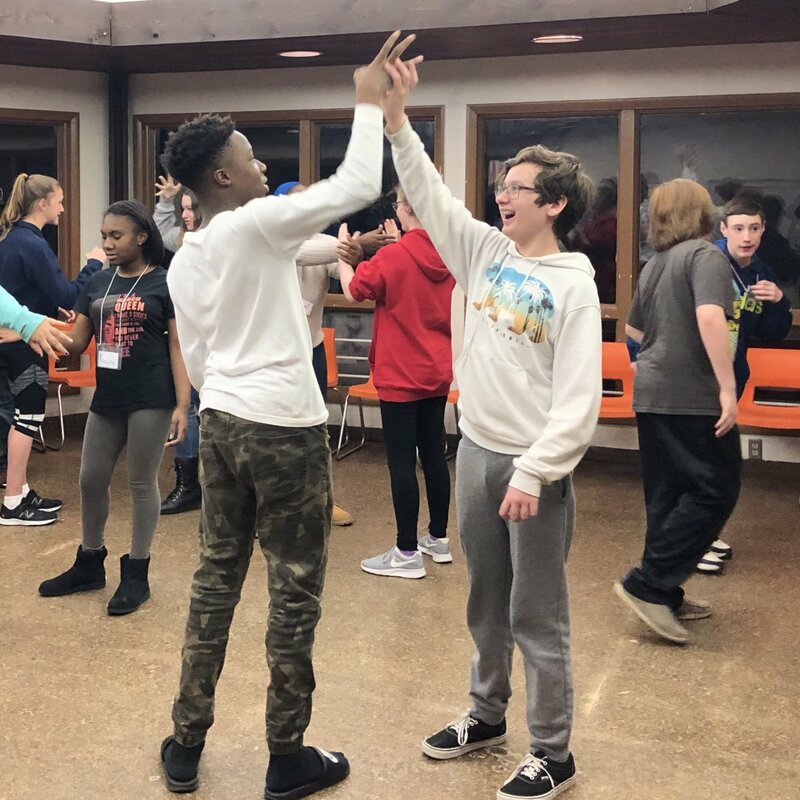 Adult leaders have found these retreats as great opportunities to get to know their youth better, and have gained as much faith development as their youth! If you have any questions or concerns about being able to fulfill this role, please don’t hesitate to reach out to our Assistant Director, Sam Williams at Sam@holmescamp.org.